Yet Another Shower Innovation From ShowersPlus.com. The large sprayer will adjust from a full flow to a trickle, like our full spray shower head. 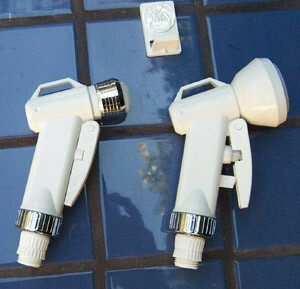 The small sprayer will adjust from a spray to a stream like our sink sprayer, also from full flow to a trickle.